On this day in 1986, Sam Cooke was inducted into the Rock & Roll Hall Of Fame. His most recognisable record was sampled in 2008 by three of the hottest MCs who have since faded a little – but I will fight anyone who argues B.o.B’s debut album isn’t a summer classic. 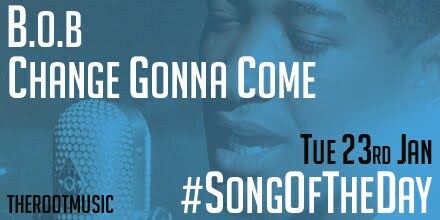 Asher Roth and Charles Hamilton joined the ‘Adventures of Bobby Ray’ rapper on ‘Change Gonna Come’ which is #SongOfTheDay. Posted in UncategorizedTagged Asher Roth, B.o.B, Charles HamiltonBookmark the permalink.